Journalism & opinion pieces. I am a young, passionate journalist and graphic designer writing about Asian American issues, marginalization, the Boston area and more. Tweet me: @KasulisK; E-mail k.kasulis94@gmail.com. Mattel “evolved” by creating a more inclusive line of Barbies with a range of skin colors, eye colors and body types. “Asian” Barbie, however, doesn’t come with a curvy figure – a look at the brand’s history of perpetuating stereotypes. Curvy, petite, tall and original – using the hashtag #TheDollEvolves, Mattel announced its release of three new body types for their Barbie brand dolls last Thursday. As a lover of toys and a recent buyer of a 1988 South Korea Barbie, I checked the new collection for Asian representation and, no doubt, Asian barbies are included. 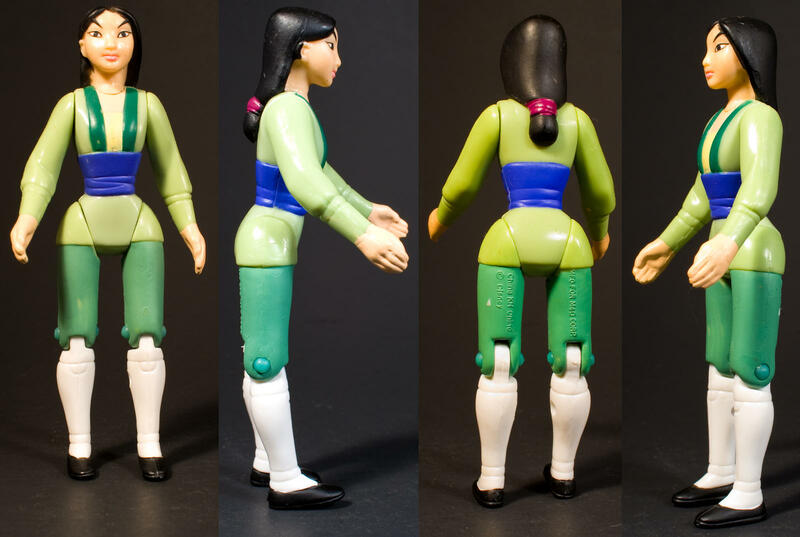 But I noticed one other thing: there were no “curvy“ Asian dolls in the collection. One of the everlasting stereotypes of Asian women is that they are naturally thin, and it seems that Mattel agrees – the company is arguably making a statement by omission when they exclude an Asian “curvy” doll. Such a statement, however, is lost in the excitement of an iconic brand marketing progressive ideas of inclusion, “evolution” and increased diversity; A quick analysis using Keyhole.co and Social Mention show mostly neutral or positive use of the #TheDollEvolves hashtag online, with an estimated reach of over 3.6 million. The new Barbie collection includes seven skin tones and four body types, including curvy, tall, petite and original. To be fair, the new Barbies definitely could be a sign of progress in the arena of diversity and representation. When I was a kid, a Disney brand Mulan and a smaller, 1998 McDonalds Happy Meal Mulan doll were the closest things I had to this. Disney Mulan was too large to fit into Barbie’s more modern, stylish clothes (so she always looked like she was from a Dynastic era) and Happy Meal Mulan’s limbs became too nimble and loose from overuse. These dolls were distinctly foreign in the way they were designed, while my white and black barbies at the time were American roller skaters, flight attendants and veterinarians. I decided to dig deeper. Was it always this way? Kevin Powell, a renown politics and culture writer, once referred to the widespread suburban, white male consumption of hip hop music as a “cultural safari.” The phrase alludes to a sense of fascination with a facet of another’s culture. The stereotypical imagery in these words mirrored Oriental Barbie’s nondescript “Asian-ness.” And other than the sheer irritation of Oriental Barbie not having any specific ethnicity, America’s first Asian Barbie is problematic in that it speaks to an era (and a continued phenomenon) in which Asian-Americans are inherently made to feel both foreign and all the same. It reminds me, a hapa Korean-American, of all the times people assumed I am Chinese (I’m not). Oriental Barbie’s vagueness is a great example of a term coined by Sociologist Robert Park called the “racial uniform.” Journalist Alex Tizon elaborates on this term in his book, Big Little Man, arguing that people become more “Asian” the longer they’ve been in the United States. To be fair, I am not condemning Mattel as a source of evil. Oriental Barbie is largely a product of her time – a period when Asian American issues were just being heard. A year after Oriental Barbie’s release, the infamous murder of Vincent Chin garnered national media attention. Chin, A Chinese-American just days away from his wedding, was mistaken as Japanese. He was brutally murdered by two white, auto industry workers who were angry at layoffs and the rise of Japanese cars. The murderers didn’t serve any jail time, and Chin’s tragic death is often regarded as the starting point of a pan-Asian civil rights movement. Nonetheless, just a few years after Oriental Barbie came out, country-specific Asian Barbies were released. Anyaha simnika! (Hello!) from South Korea, “The Land of the Morning Calm” … Seoul is the capital city of South Korea. It’s one of the world’s 20 largest cities! Our main crop in South Korea is rice. At harvest time, farmers’ families work together to bring in the crops. Each year there is a Harvest Festival in Seoul to celebrate the end of the spring planting. There are jugglers, acrobats, dancers and magicians. The children eat rice candies and fly beautiful kites shaped like dragons and fish. The end of the lengthy description encouraged kids to consider visiting “The Land of the Morning Calm” and made a point to distinguish South Korea and its language from China and Japan – perhaps a step of progress considering there was just one overall-Asian, “Oriental Barbie” seven years earlier. In total, Mattel created 17 “Dolls of the World” Barbies between 1981 and 2012. The 1990s recreated some of these Barbies while adding others, such as Malaysian Barbie, Chinese Barbie and Thai Barbie. Between 2000 – 2012, Sumatra-Indonesia Barbie, Philippines Barbie and a Japanese Ken were also added. And they may have reinforced stereotypes. According to the Barbie website, Japanese Ken is the first (and perhaps only) ever Ken doll to be added to the Dolls of the World Collection, describing him as “both handsome and exotic.” The Indian Barbie is “Bollywood ready,” and comes with a “monkey friend,” while the Chinese Barbie comes with a panda (facepalm). (Left to Right) Chinese Barbie, Japanese Ken and Indian Barbie; Japanese Ken and Chinese Barbie were designed by Linda Kyaw. Some may argue that fashion is at the very core of this collection, as it is with the Barbie brand. The traditional attire can be perceived as celebratory of a variety of cultures and histories, even if they present them in a stereotypical, “othering” way. There’s also the question of whether or not Barbie and other toy manufacturers have an ethical responsibility to be fair and representative with their products. Right now, Barbie is more or less arguing that it does – the hashtag #TheDollEvolves essentially recognizes that things should have been done differently in the past; that the company has evolved to being more aware. Mattel’s “Dolls of the World” collection make it easy to identify Asian Barbies. The other collections don’t. Whether or not Mattel is willing to explicitly identify some of their past characters as Asian, the truth is that consumers have already done it for them. Fan sites for Barbie collectors and third-party sellers online often decide the racial backgrounds of the dolls kids are playing with, as this website did by charting Barbie’s “ethnic friends” based on face molds Mattel used in the past to create Barbie’s friend characters. Raquelle, a character created in 2007 who took on an Asian identity starting in 2011. She is also a villainous character in the Barbie: A Fairy Secret movie and Barbie: Life in the Dreamhouse web series. The Barbie website does not say whether or not Raquelle is Asian, but reviews of Raquelle dolls on Toys R Us, Amazon and blogs are telling me that many people think she is. She may pass as an Asian character to children if she is passing as one to adults. If Raquelle was in the toy aisles when I was in 2003, my third-grade self would have wanted to believe that she was Asian. Others may perceive her to be Hispanic or Latina, since the name Raquel (spelled differently) is Spanish and because the character rolls her R’s when she’s on a scheming rant about her master plans. But so long as Raquelle is a person of color, her role may be problematic. In Life in the Dreamhouse, Raquelle is Barbie’s wealthy “frenemy” who exhibits jealous, overly-competitive, and openly devious behavior. She tries (and fails) at winning Ken’s heart while he remains smitten by blonde-haired, blue-eyed Barbie. Furthermore, Barbie lacks character flaws – she is usually clueless or chooses to take the moral high round while Raquelle greenly curses her perpetual second place status. Barbie then appears on the stage and instantly dazzles the crowd with her beauty – so much that Ken absentmindedly drops Raquelle and screams out to Barbie that he loves her. The lesson is clear: the people of color in this show are no match for the prettier, more successful, more humble (white) Barbie. Raquelle is the character we all want to laugh at, who we all want to feel pain. She can be seen getting hit in the face with frisbees or running from a mall cop who shoots stickers at her. Raquelle’s brother Ryan, also a person of color, is a reinforcement of the “white wins” tale. Like Raquelle, Ryan’s one goal is to win the heart of the white protagonist, Barbie. Spoiler: Barbie is more interested in Ken. A Barbie: Life in the Dreamhouse song encompasses this sentiment – called “Everybody Needs a Ken,” Barbie sings lyrics like, “Your smiling face, not a hair out of place, you’re a dream come true,” to a music video which largely depicts herself and Ken as perfect and Raquelle and Ryan as scheming losers. The tumblr user is right: this is unforgivably offensive. One little joke, so much racist propaganda. Raquelle’s inferiority to Barbie, itself already a bit ‘meah’ because I have no clue what she is but she sure doesn’t score as many Caucasian points as Barbie, in this joke is manifested through the use of white hair vs black hair, with white hair being presented as the good option and black hair the undesirable one. On top of that, it plays into the racist myth that black hair is unkempt, as the fish is clearly absent from Raquelle’s hair when it still resembles the Caucasian look (Parrotbeak.tumblr.com). The show, which started only four years ago, has little excuse for this regressive, racially-charged humor. And it is certainly not consistent with Barbie’s “new image,” which pushes diversity and acceptance of all types of people. The point: there’s plenty of room for improvement. Released two years later in 2014, an Asian “Entrepreneur” marked what might be the second explicitly, non-“Dolls of the World” Barbie. These dolls, adorned in regular, everyday clothing and representative of ambitious professions area nice step forward. However, these are the only two dolls for sale online that are identified as Asian in a franchise that claims diversity, but seems to have some very racialized mixed-messaging. Furthermore, though the newer, “evolved” Barbies are a step in the right direction, one has to remember that this step was made following years of declining sales. It evokes the question of how genuine this inclusion is. I leave you with one thought: according to the US Census Bureau, a projected 40.6 million Asian-Americans will be living in the United States by 2050. It’s time to make more Asian Barbies. In 1962 I got my 1st barbie. We lived in Japan at the time, she had black hair and wore a kimono and came with the black and white striped bathing suit. Hello Kelly, I really enjoyed your article! Thanks for sharing! As a brazilian mom living in Germany I bought Raquelle for my daughter thinking she was “latina”. When I looked to her on the shop, she reminded me Monica Belucci. I also took Teresa home. Now she has a pair of Barbies that reminds how the women in our family look. Last year I bought her 2 different dark skinned Barbies with curly hair (Chandra and Asha I think). Now I want to buy her 2 different “asian” dolls. I was wondering why they just have Lea as asian doll and if Raquelle is italian or east european when I stepped in your blog. I also watched “Life in the Dreamhouse” with my daughter and I found it was offensive in so many ways! As foreigner parents we struggle every day to show our kids we can achieve, we can do it, even if we are not blond with blue/green eyes. We always show them successful non-caucasian people to try to reinforce their self-steem. Then I saw Raquelle being the fool character on the film and asked my daughter to stop watching the movie and I explained her: “I don´t accept this clichée and you also don´t have. This movie is racist!” I also have other issues with the movie like you mentioned “Barbie is clueless”. Barbie is unfortunately a weak female character on the film and we don´t need it in our education. Since then no more Barbie films at our home. And I agree with you, we need more asian Barbies, representing the abundance of different faces, hair and body shapes and also skin tones of the huge asian continent! I would be glad to buy them for my daughter! I hope you realise that by assuming someone with a Spanish name that can roll her R’s is automatically someone of colour you’re stereotyping. How do you know that she wasn’t Spanish from Spain? Would that make it any better in your eyes if the villain wasn’t a POC? Other than that I believe Mattel was usually more focused on fantasy and selling potential than perfect cultural accuracy, though for some reason, I expected way worse. Seeing that Mulan doll made me think of the one I had, the ‘Secret Hero Mulan’. One of my favourite dolls when I was a kid. All in all I think they should actually talk to kids and ask for what they would like to see in a doll. I’m all for diversity in dolls so kids can identify with them, but I don’t want this to turn into Mattel making dolls for adults to agree with or not, it’s the kid’s happiness that matters. Very good piece. Thank you! There’s not a petite Asian Barbie either but I guess that doesn’t bother you?